Sunday’s 4-0 thrashing of West Ham was made all the more pleasing by Daniel Sturridge’s impressive performance in his first start since January. Sharp cameos in recent weeks proved to be an accurate representation of where his fitness is at as he put in a display far more influential and valuable than Reds have seen from him in months. He rewarded the faith Jurgen Klopp had put in him and gave the Liverpool boss good reason to keep him in his starting eleven for next week’s decisive final game of the season against Middlesbrough. The conviction and the composure to round goalkeeper Adrián before slotting home into an empty net for Liverpool’s opener typified how deadly can still be, making his regular absences from injury this season all the more frustrating. He seemed to thrive with another striker playing alongside him in Divock Origi and having a technician like Philippe Coutinho occupying a more central position that saw him constantly pick up the ball before feeding Sturridge’s movement. The England star’s Liverpool future remains uncertain yet supporters have seemingly been swayed towards the club keeping hold of him thanks to a reminder of his talent. A fit Daniel Sturridge would be a real player for any team, do we really wanna sell? And does Daniel want to leave Liverpool? Catching up on highlight. Sturridge played, behaved and celebrated like a man who’s staying and wants to stay. I like. 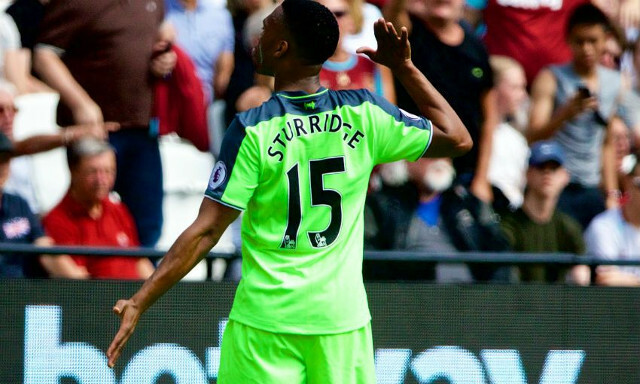 If Sturridge could stay fit there’d be no talk of us needing a top striker – we’ve already got one. When Sturridge is fully fit there aren’t many better. He’s got it all! Love him to stay and play! Proper waste.